Find Burum, the third-largest island in the Maluku Islands of Indonesia, on the map. Adventist work in Indonesia began in 1900, when R.W. Munson, formerly a missionary for another denomination in Singapore, opened a mission at Padang, on the west coast of Sumatra. One of his first converts was Tay Hong Siang, a Chinese Christian preacher, who as an orphan had been in Munson’s orphanage in Singapore years earlier. In 1903, the East Indian archipelago was made a mission field of the Australasian Union Conference. To Sabbath School teachers: This story is for Sabbath, Dec. 15. 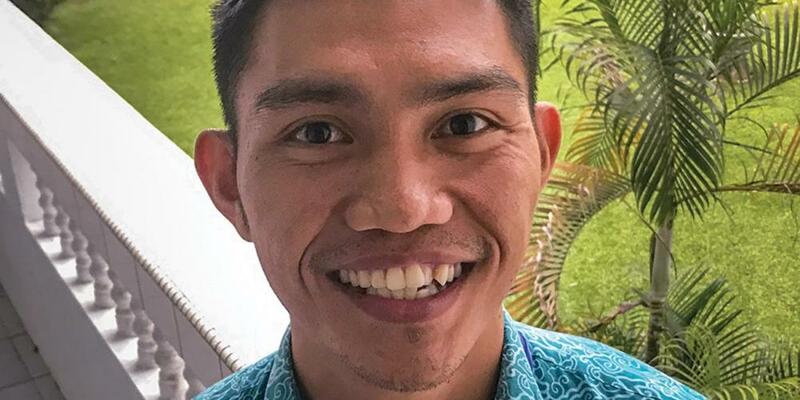 Armi, a young student missionary, had a heavy heart after arriving on Indonesia’s Buru island. He had been assigned to work for one year in a village where no Seventh-day Adventists lived. But he wasn’t sure how to start. One evening, two villagers invited him to go fishing, and he eagerly accepted. They looked at the sky and saw that the weather was good. They hoped to catch many fish. The trio got into a small wooden boat and set sail into the ocean. When the boat was far from shore, the weather abruptly changed. A fierce wind began to blow. Rain started to fall. Large waves crashed against the boat. Armi and his two friends frantically bailed out water and, when that didn’t help, threw their fishing gear into the ocean. They wanted to make the boat lighter so it wouldn’t sink. But nothing helped. Finally, Armi’s friends said the boat was only strong enough to save one person and two of them needed to jump into the ocean. Armi was amazed that his two friends, who were married and had children, were willing to die so he could live. But he didn’t want them to die. Despair washed over him. He felt like a failure as a missionary. Armi repeated the prayer again and again for three minutes. Then he said “Amen” and opened his eyes. At that moment, the storm ceased. The wind stopped, and the ocean was still. The dark clouds rolled away, and bright stars shone down. His two friends wept with joy as they steered the boat back to shore. On the way, they saw a fishing net that they had thrown out during the storm and stopped to retrieve it. The net was bursting with fish. When the boat landed, villagers rushed to the shore to greet the fishermen. They had seen the men sail away and thought that the boat had sunk in the storm. Astonished, they asked what had happened, and Armi’s friends eagerly told them about the answered prayer. The villagers then wanted to buy the miracle fish. It was the most fish that the fishermen had ever caught. After that evening, people flocked to Armi to hear him tell the story about the storm. They asked him many questions about Jesus. Four people were baptized. Today, three years later, the village has its own Adventist church, and 20 people worship there every Sabbath. Armi is now 24 years old and studying to become a pastor. “I will always remember the miracle at sea,” he said.